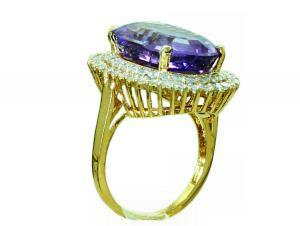 A truly irresistible genuine diamond and amethyst cluster ring that is guaranteed to put a smile upon her face. 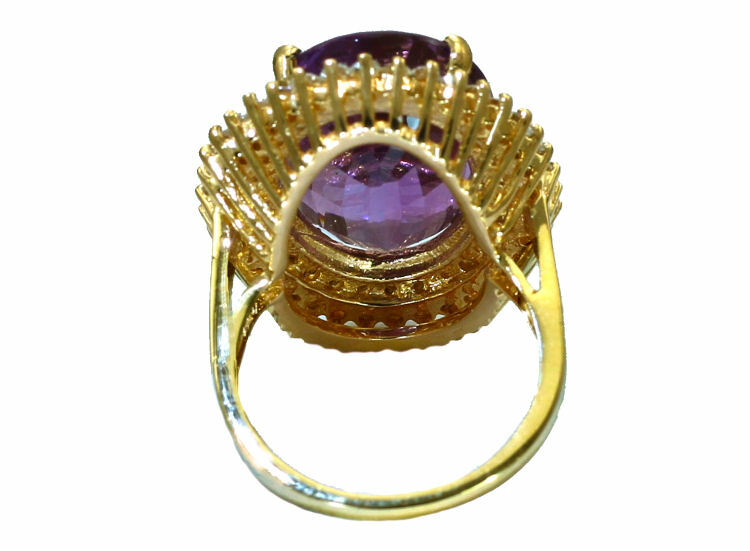 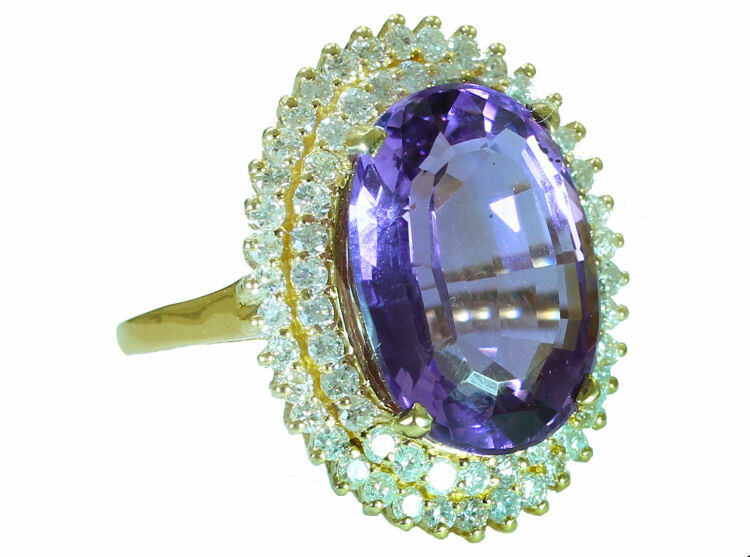 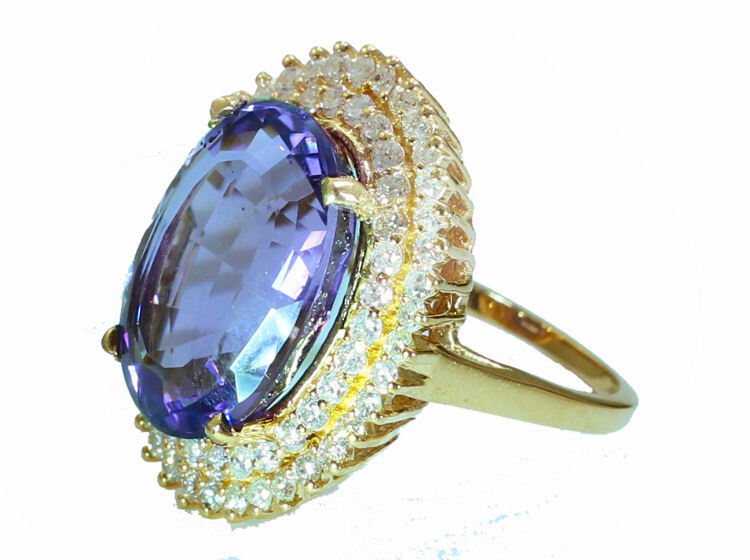 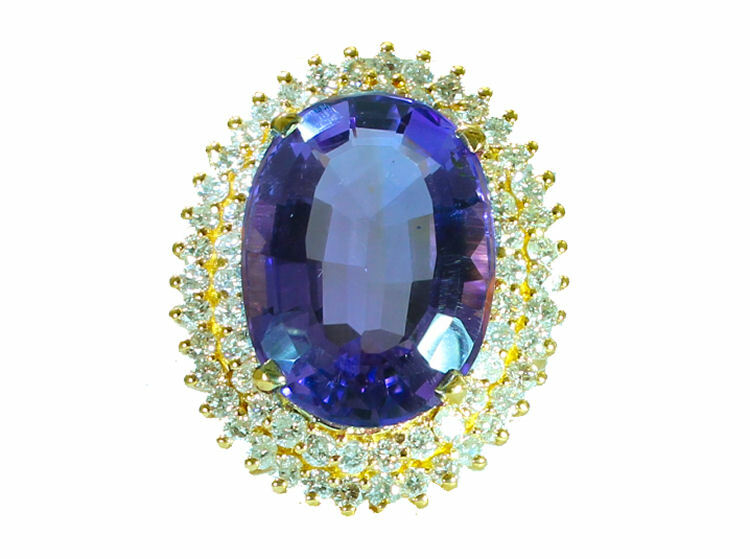 This ring is set in crisp 18kt yellow gold featuring an oval violet amethyst at the centre of prong set beautifully framed by two rows of thirty one and thirty eight round diamonds of 1.50mm diameter each. 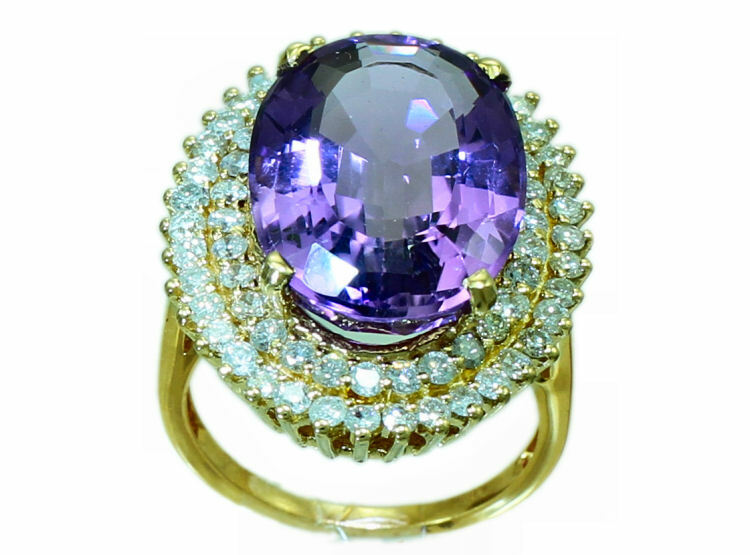 The amethyst weighs 12.32 carats and measures 18x13 mm. 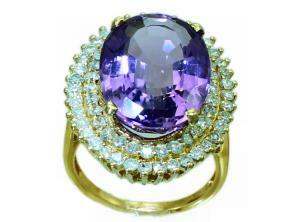 The total diamonds weight is 1.04 carat. 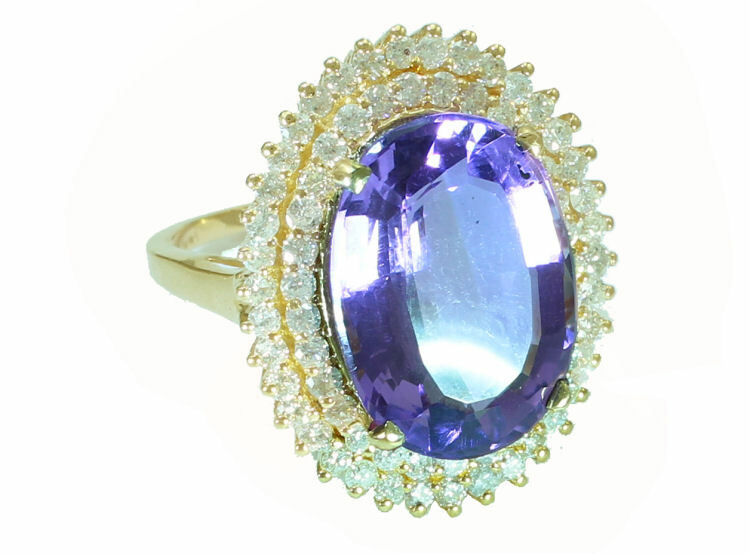 The diamonds have I1-I2 clarity and G-H colour. This brand new ring measures 20.80 mm wide, 25.60 mm length. The ring's total weight is 10.50 grams. 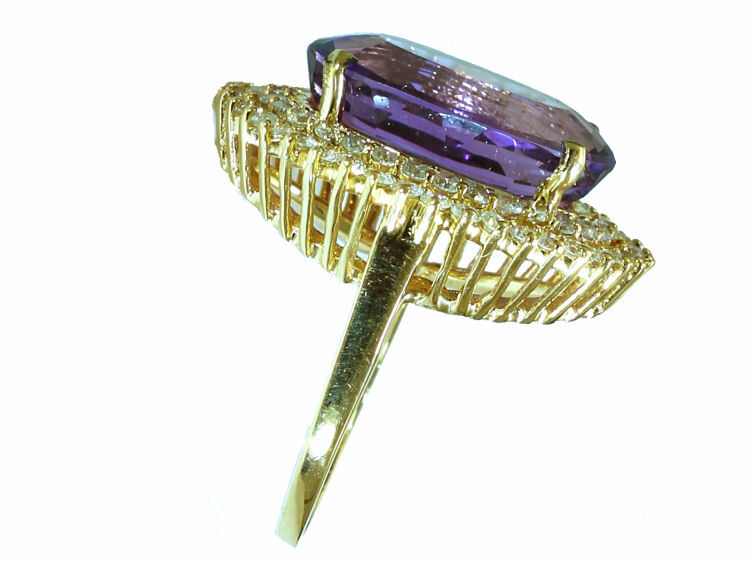 This ring can be resized from the current size O (UK) by your local jeweller or by us upon your request at an extra charge. An independent jeweller's certificate is provided with this ring, with a valuation of £2744.